n my opinion, the greatest mystery in the world of car audio technology is the fact that amplifiers are not given the limelight that they deserve. The consensus amongst people who are new to the concept of improving car audio systems seems to be that amplifiers are solely for the enthusiasts who want to “beef up” their subwoofers to produce bone-crunching bass to show off to their other car audio enthusiast friends. That couldn’t be any further from the truth! Car amplifiers are a necessity for every system, regardless of how small and inexpensive it is. If you are looking to improve the sound of your cars audio system and an amplifier is not at the top of your check list, you need to read this article in its entirety. Let’s start by looking at what exactly an amplifier is and what it can do for your car. An amplifier, regardless of whether it’s in a car audio system, or a home audio system is a dedicated device that receives a weak audio signal and amplifies it. It’s as simple as that. Audio signals are too weak to be heard without amplification, so an amplifier is a crucial piece of kit for any audio system. Even the basic car stereo in the cheapest of cars will have an amplifier built into the head unit. The problem with built-in amplifiers is that fact that they simply can’t produce enough power to give your music the sound quality that it deserves, especially at louder volumes when you will really start to hear the distortion and the break down of sound quality. If you are serious about the quality of your sound system, you will need to invest in a dedicated amplifier. The amount of choice can be overwhelming, especially if you are new to the game, but we will get to that later on this article. For the meantime, let’s breakdown the benefits of adding an amplifier to your car audio system. So, now that you know what an amplifier is, it’s time to discuss why you need one. 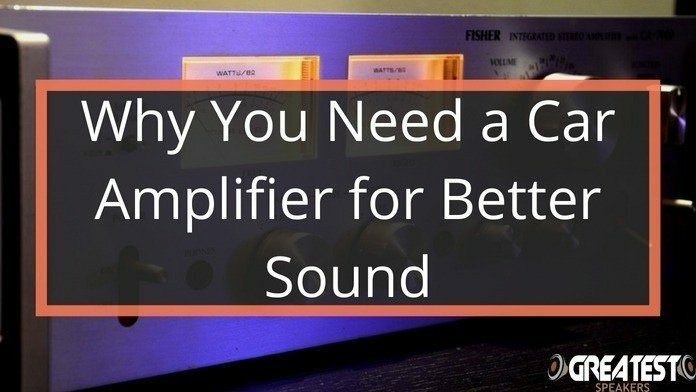 There are many reasons for that but here are my top 3 reasons why an amplifier is something you should get. Cars are extremely noisy. You may not notice how noisy they are until you turn on the radio and try to listen through bog-standard speakers. The engine, the tires on the road, the traffic and the air-conditioning system are just a few examples of the external noise that can really drown out the music that you are trying to listen to. Adding an amplifier will eradicate this problem by literally amplifying the sound of your music without distorting it, allowing you to hear the music and nothing but the music. One of the main reasons why people decide to add amplifiers to their car audio system is to improve the quality of sound. Factory speakers will tend to crackle and distort the music as you turn up the volume, but speakers that are fed via an amplifier will not. The result of adding an amplifier, regardless of how small or cheap it is, will be cleaner, louder, bassier and distortion-free music. If you want to hear the clarity of the vocals and the distinction of each instrument when listening to your favorite music, adding an amplifier is the way to go. For the serious audiophiles amongst us, having access to customization features like equalizers and signal processing is a must. 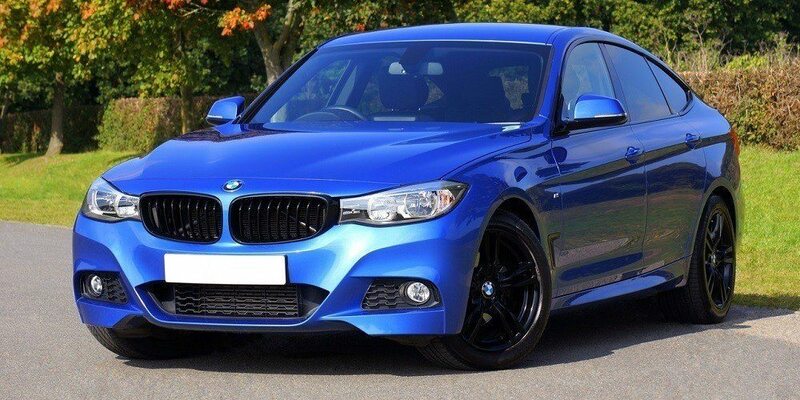 However, a lot of older car stereo systems will not provide the features that you crave. Adding an amplifier will allow you to take control of your sound without having to purchase a brand new stereo player. Also, an amplifier will give you the flexibility to add/remove different channels to your car’s system whenever you decide that you want a change. This is great for those who like to work on their cars regularly or those who always need to purchase the latest equipment. What's the point of having a good-looking car if the sound is like sh*t? As with most pieces of car audio equipment, the amount of choice when it comes to amplifiers is mind-boggling. One of the most common questions that I get asked by people who are looking to purchase their first car amplifier is “How many channels do I need”? “Channels” are simply referring to the number of outputs that can be linked to an amplifier at one time, with the outputs obviously being speakers and subwoofers. If you want to amplify a system with two speakers, you will need a 2-channel amplifier. If you want to power a system with 4 speakers, you will need a 4-channel amplifier. Simple, right? One thing to note, however, is that if you want to include a subwoofer in your system (which you definitely should be), you will need either a 3-channel amplifier or a 4-channel amplifier. If you want to run two speakers and a subwoofer, you could either purchase a 3-channel amplifier and use one channel for each, or you could purchase a 4-channel amplifier and bridge two together to power the amplifier. The benefit of doing the latter is that you will always have room for expansion if you decide to add more speakers or subs. If you want an amplifier that can comfortably power your entire system (4 speakers and a sub), you will require a 5-channel amplifier. Literally speaking, you do not need an amplifier in your car. If superb sound quality is something that you can live without, then by all means, continue listening to your music through your bog-standard system. However, if you want to experience music in the way that it was intended to be experienced by the producer, you will absolutely need to make the small investment in a good-quality car amplifier. The difference in sound quality, the clarity of the sounds at high volumes and the roaring bass that an amplifier can produce need to be experienced first hand for you to truly understand the difference. Do yourself the favor and start looking for an amplifier right now. Your ears will thank you later. How Much Power Does a Subwoofer Need? 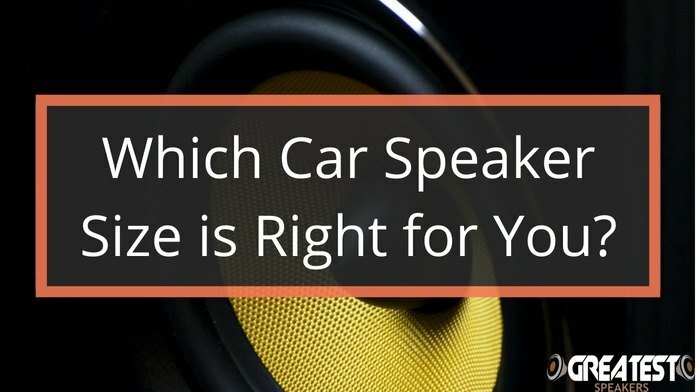 Which Car Speaker Size is Right for You?